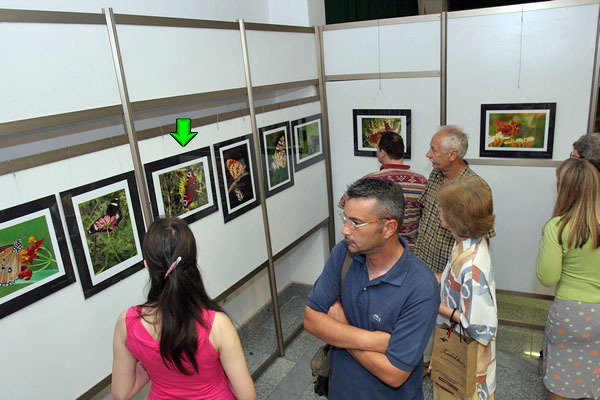 » Within exhibition "Fragments of Nature" (group exhibition of 10 autorhs) at the premises of Photo Cinema and Video Association of Vojvodina and in Apolo Center in Novi Sad, exhibited 8 photos. 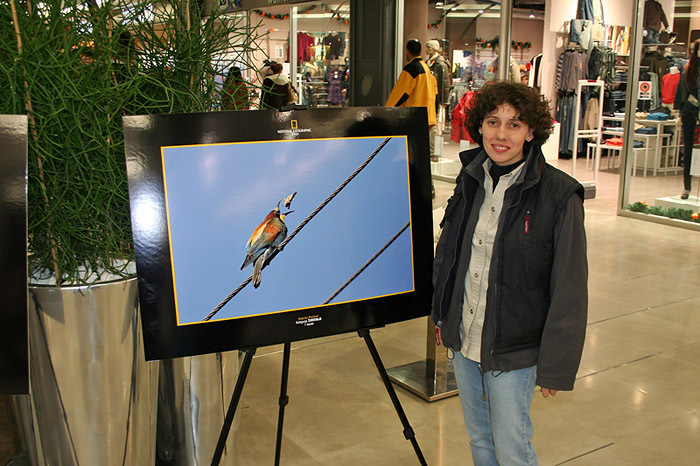 You can see the photos from the exhibition here. 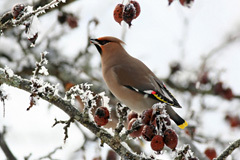 (January 2013). 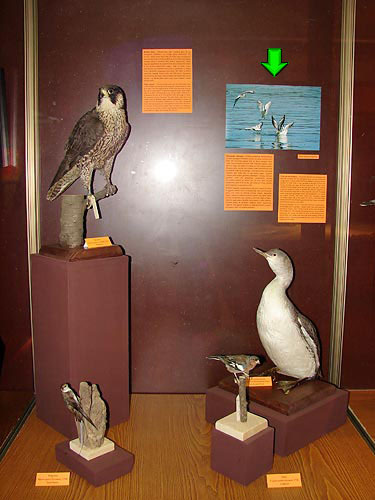 Same exibition was also displayed at Novi Knezevac and Subotica / Hajdukovo in March 2013. 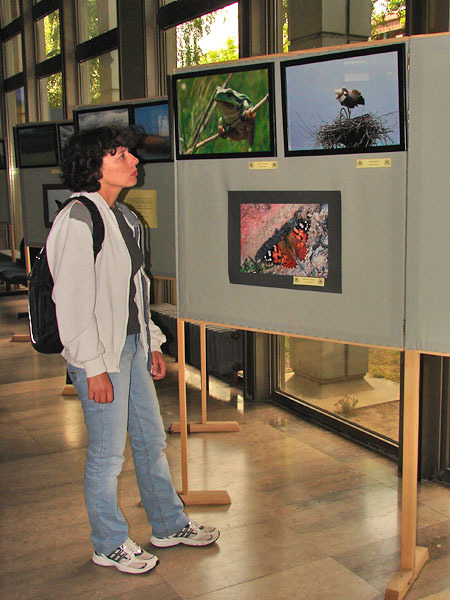 » An exhibit of 30 wildlife photographs "Wondrous world of Zasavica" by the author Katarina Paunović, at the gallery of Institute for Nature Conservation of Serbia, RJ Novi Sad. 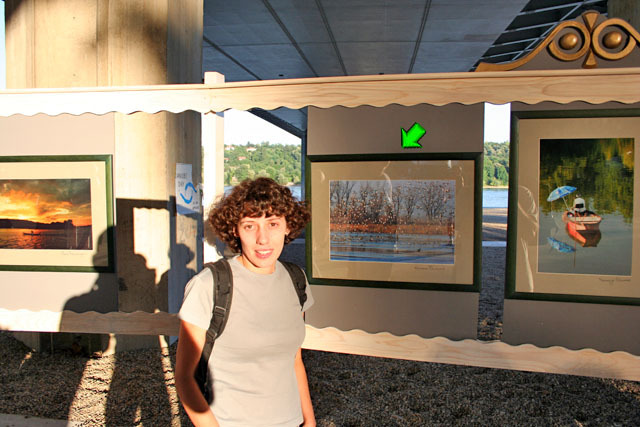 Generous sponsor of exhibit and catalog was Natural Conservation Movement of Sremska Mitrovica - manager of Special Nature Reserve of Zasavica. 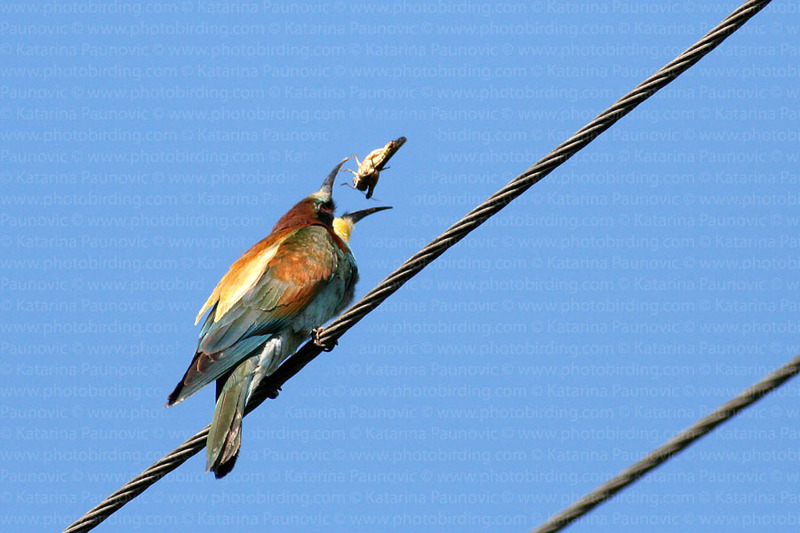 » "Important bird areas in Serbia (IBA)" published by the Ministry of Environment and Spatial Planning, Institute for Nature Protection of Serbia and the Provincial Secretariat for Environmental Protection and Sustainable Development. ~ 25 photos. 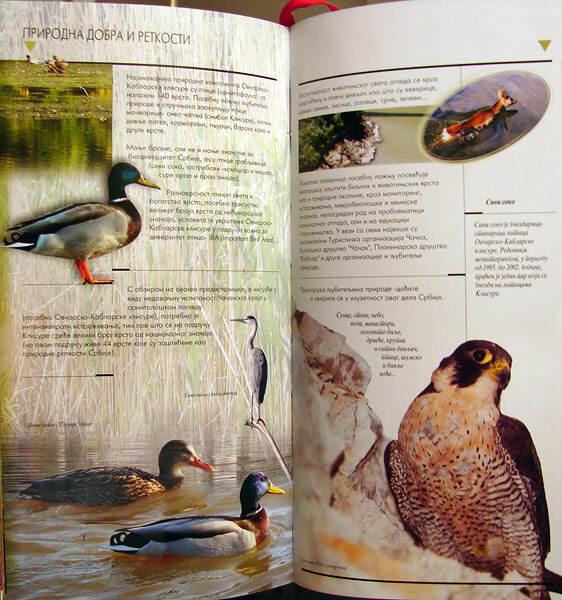 » "Illustrated atlas of Serbia" published by Evro Giunti. 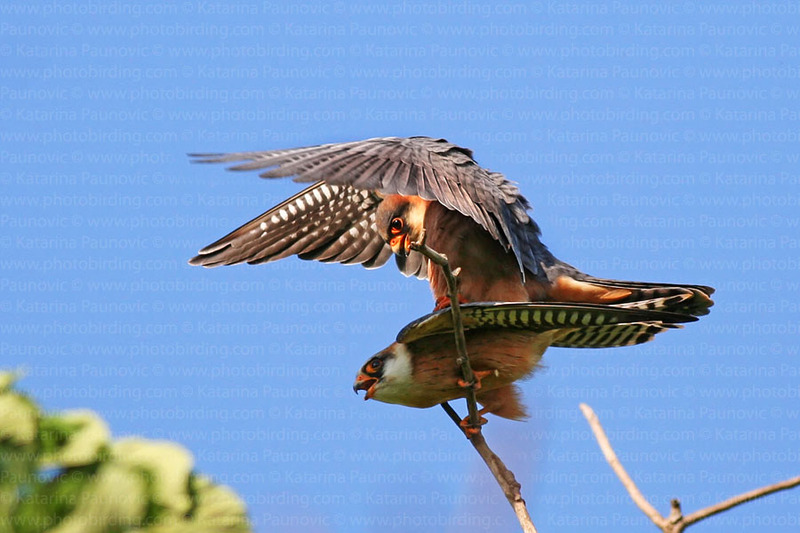 12 photos inside + 2 photos on the cover page. 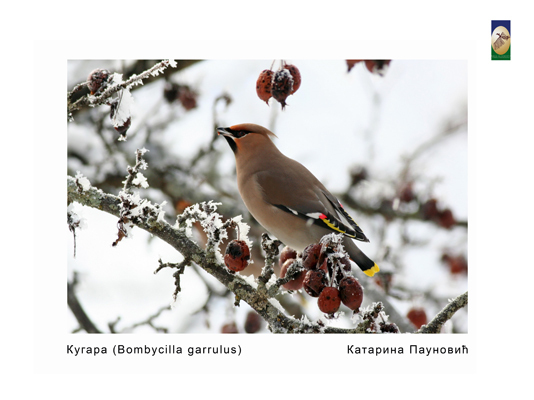 » In "Central & Eastern European Wildlife" published by Bradt Travel Guides UK, there are 7 photos of birds, amphibians and Serbian nature reserves. 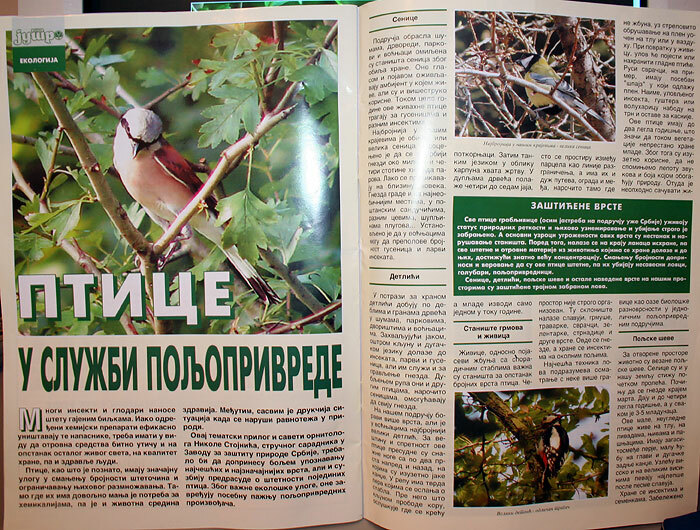 » In monography "Protected Natural Areas and Ecotourism of Vojvodina" published by group of authors from University of Novi Sad, Faculty of Sciences - department for Geography, tourism and hotel management, Institute for Nature Conservation of Serbia RJ Novi Sad and Provincial Secretary for Environmental Protection and Sustainable Development AP Vojvodina. 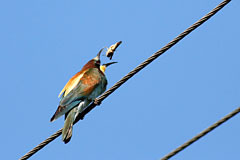 Published 50 photographs. 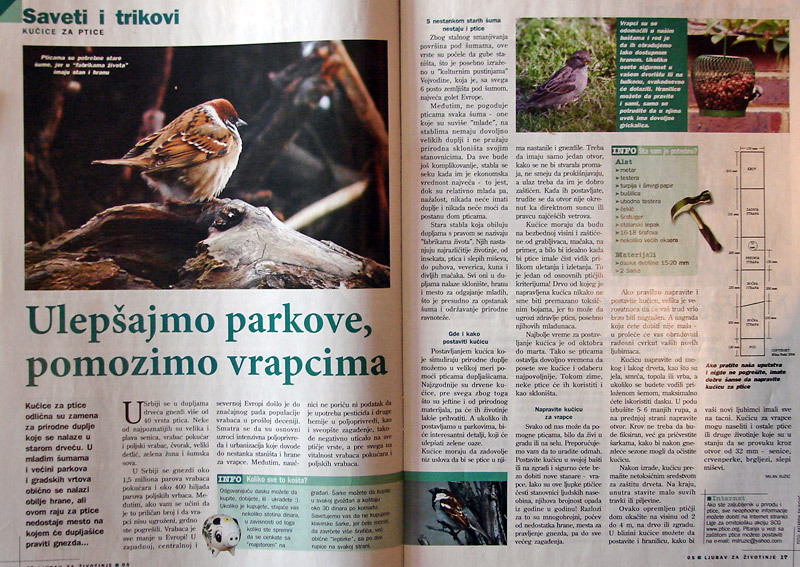 » Magazine "Svet ptic" published by Birdwatching and Bird Study Society of Slovenia. 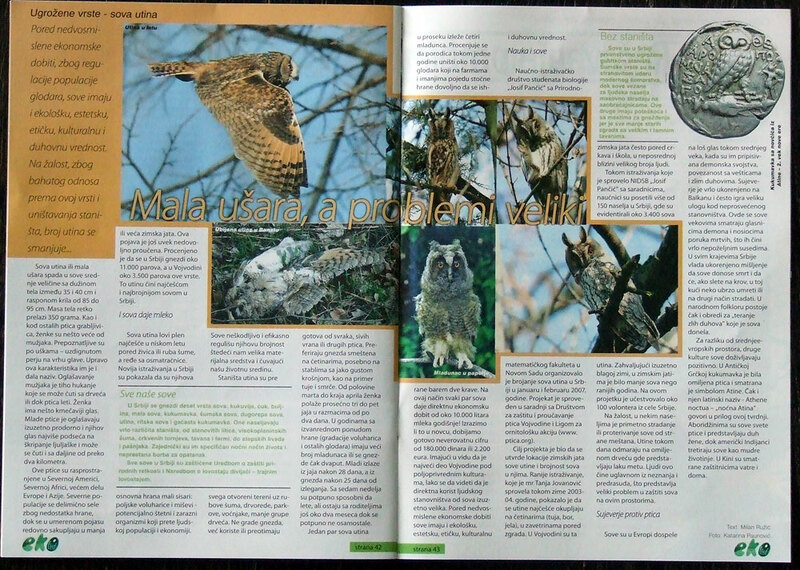 January 2008, photo of Long-eared owl in flight on the cover page and three more photos of owls on pages 9, 11 and 13. » Within the project "Open your eyes. 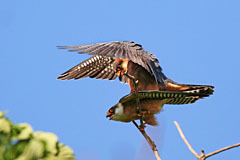 Protect owls!" - Long-eared Owl (Asio otus) Winter Roost Census in Serbia, conducted by The Biology Student Science and Research Society “Josif Pančić”, many photos of owls were published in media coverage of the project. 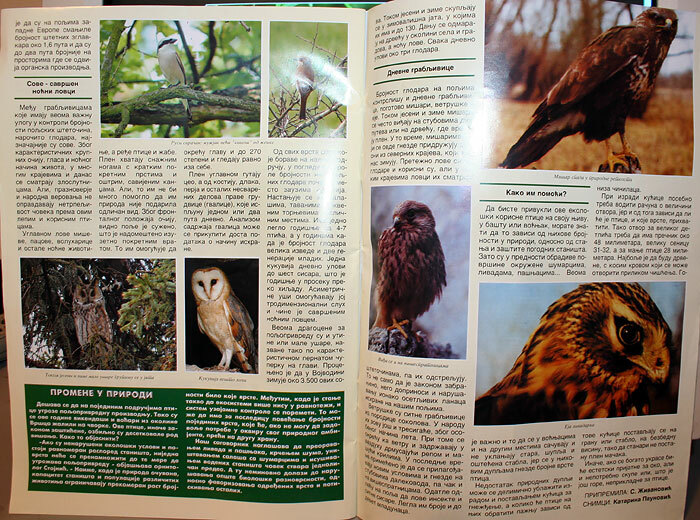 Many more photos had also been used in several newspapers (but I don't have all that documentation) as well as in few mini brochures related to protection of birds and bird habitats.